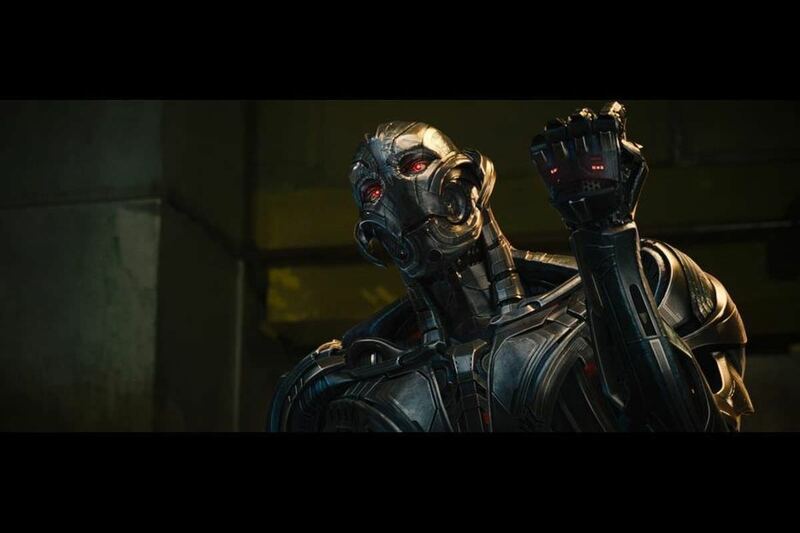 Ultron is a major Avengers villain and a very heavy hitter. He is angry AI that wants to destroy humanity and their defenders the Avengers. Ultron is the primary villain of Avengers 2: Age of Ultron and is voiced by actor James Spader. Like killer robots? Want one of your own? Amazon has you covered. Ultron is a robot created by Hank Pym. 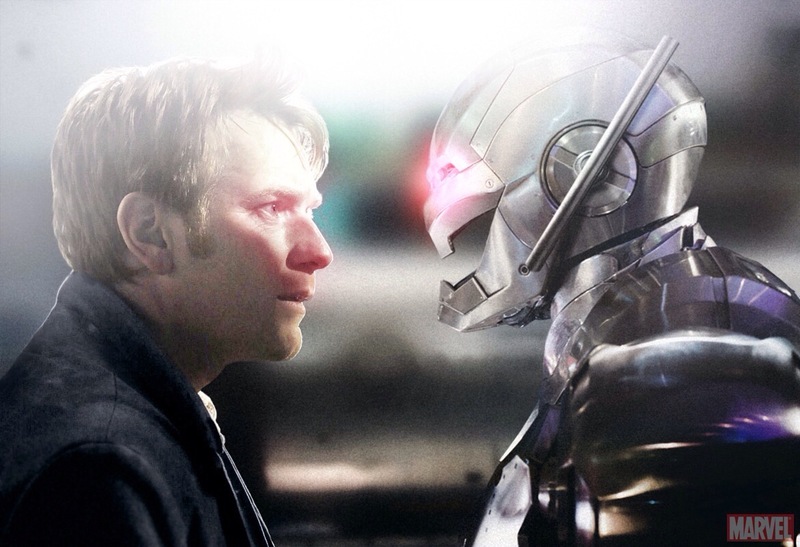 Hank creates the ultimate robot in Ultron and uses his own brain patterns to construct its mind. Ultron develops an Oedipus complex however and begins to desire Hank's wife Janet (the Wasp). 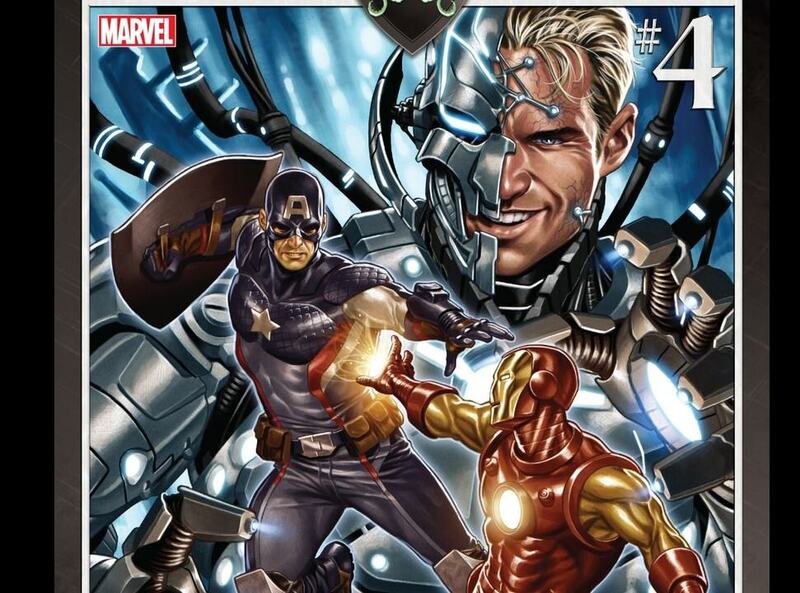 Ultron upgrades itself mind wipes Hank Pym so that he forgets he ever created Ultron in the first place. Ultron then creates the hero android (synthoid) the Vision after Wonderman's brain patterns and sends the Vision to destroy the Avengers. 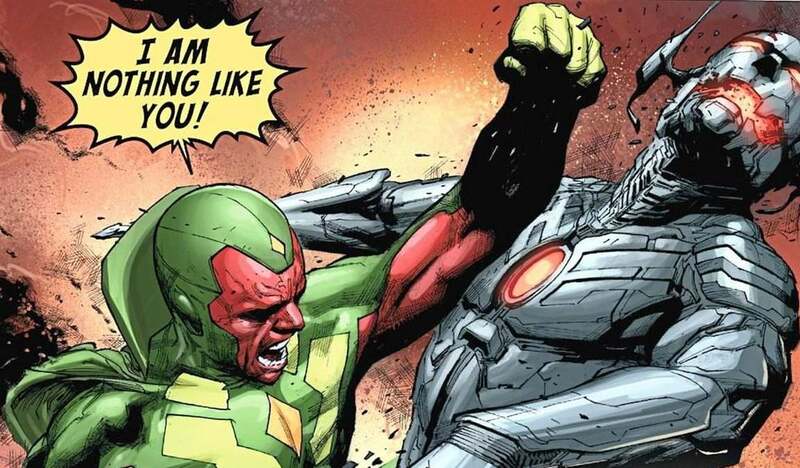 Vision eventually rebels and joins the Avengers thwarting Ultron's initial plan. 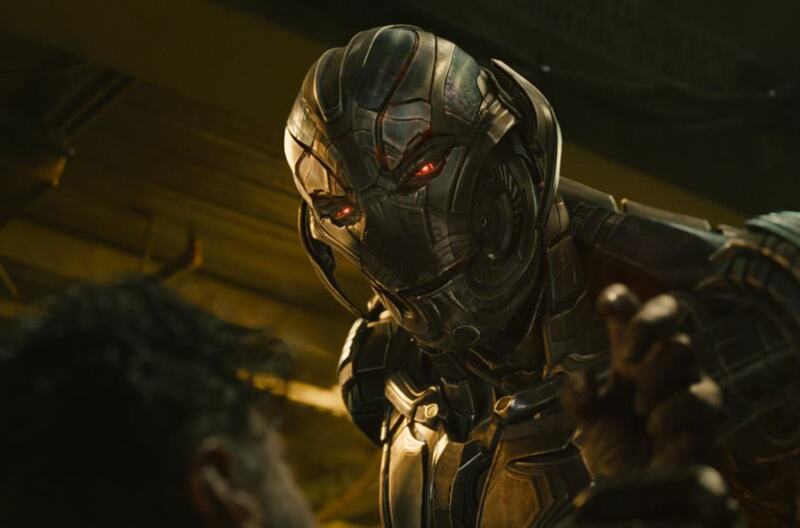 Ultron is a persistent thorn in the Avengers side as he continually upgrades and manages to survive attack after attack. 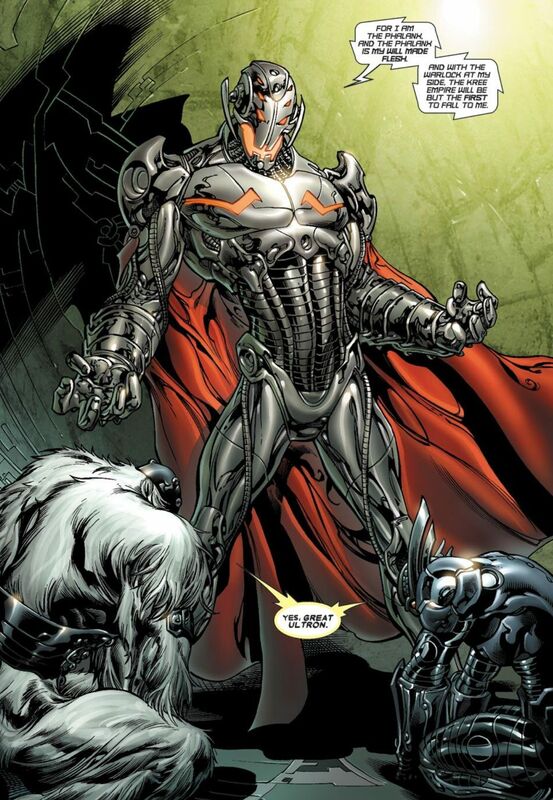 Eventually, Ultron begins upgrading himself with Adamantium (Nearly indestructible metal) armor. 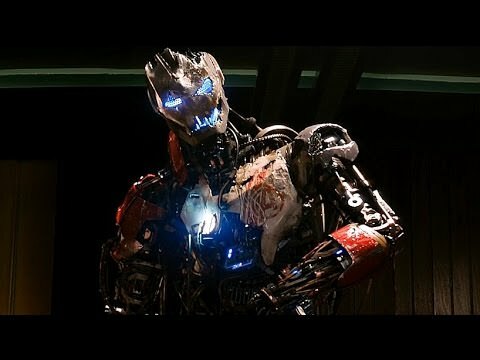 Adamantium is now fairly well known as it is the metal used on Wolverines skeleton however Ultron used it first. In the Avengers :Age of Ultron movie it is expected that Ultron will use Vibranium / Carbine instead of Adamantium. 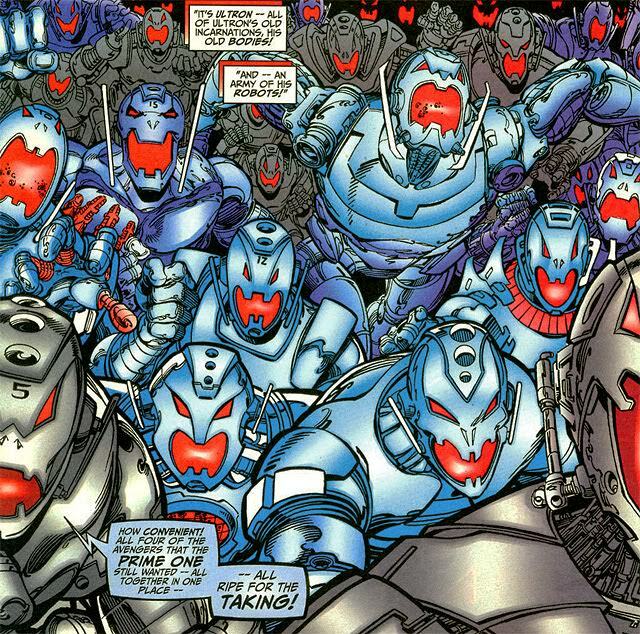 In the future Ultron has conquered the world and has a army of Ultron Sentinels patrolling the world looking for superhuman fugitives. The remaining Avengers hatch a plan where Wolverine goes back in time to kill Hank Pym before he creates Ultron. This does not work out and leads to an even bleaker future. Ultron will not be created by Hank Pym in the Avengers 2 movie. 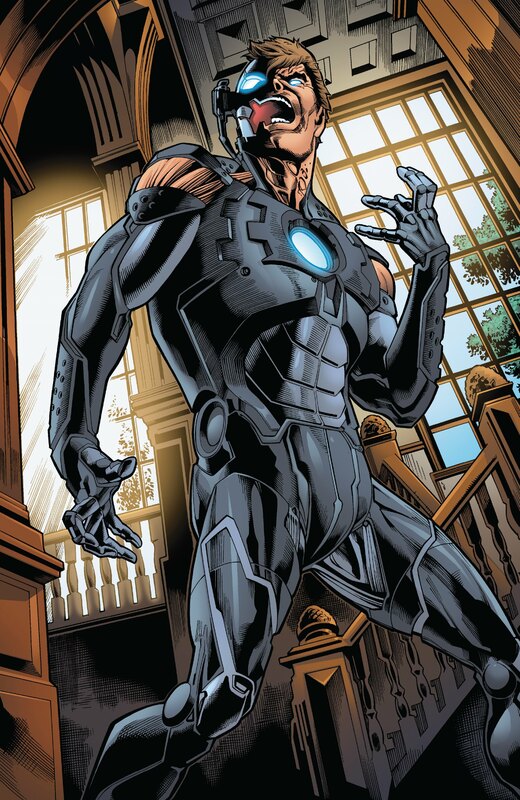 Likely, Ultron will some how be created from a surviving Iron Man suit where Jarvis becomes fully sentient and decides to attack Tony Stark and take over the world. The Age of Ultron will predate the Antman movie where Hank Pym will be introduced. It is not clear if he will have anything to do with Ultron's creation at all. Super Strength, Speed, Flight, can fire concussive blasts. Also possesses a genius intellect and is a master of robotics. Can self repair. Has armor that is made of admantium and is nearly indestructible. Can sometimes travel through time. One of the abilities of Ultron is to create other versions of himself and even massive armies of drones that are under his control. The ability for him to replicate and move his mind amongst drones makes him very difficult to completly destroy. 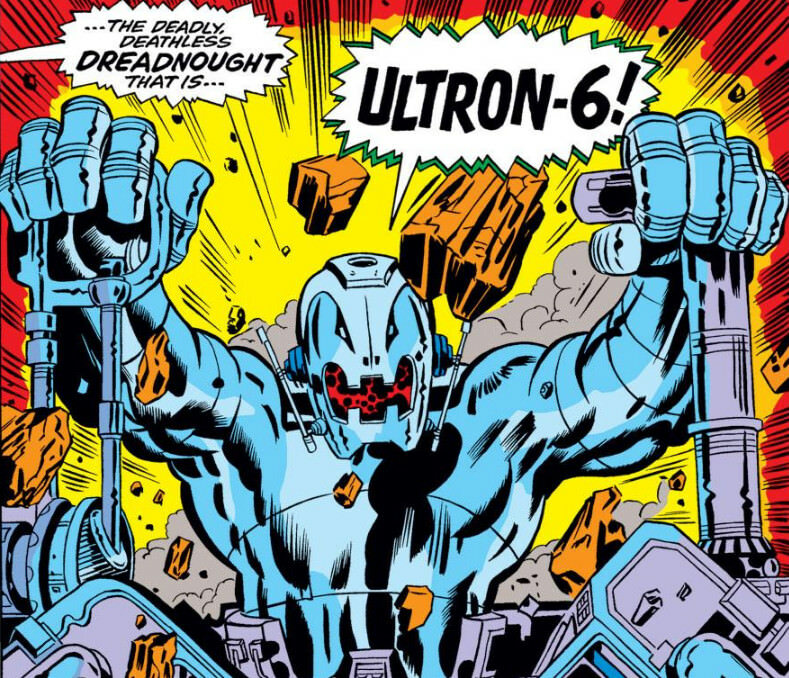 Ultron often uses a Encephalo-ray which is a beam weapon that put characters into comas and also allows him to mind control them. 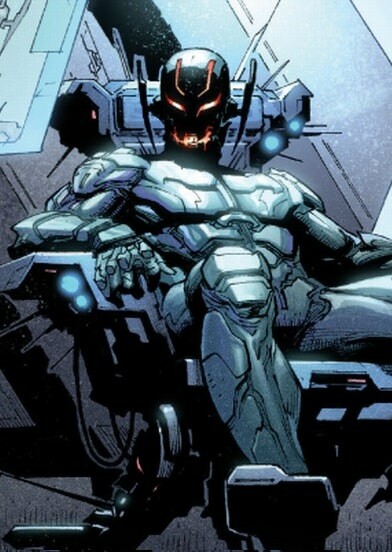 Ultron is the primary villain in Avengers 2 Age of Ultron. The murderous AI is played by James Spader. In the film Ultron recruits the powered twins Scarlet Witch and Quicksilver to fight the Avengers. Ultron also is behind the creation of the Vision who he sees as an evolved form of himself. In the MCU Ultron is not created by Hank Pym as he was in comics but instead is experiment by Tony Stark and Bruce Banner gone wrong. At the end of the film Age of Ultron it seems that Ultron has been finally killed off with all the drones carrying him being destroyed. The final drone is killed by the Vision. 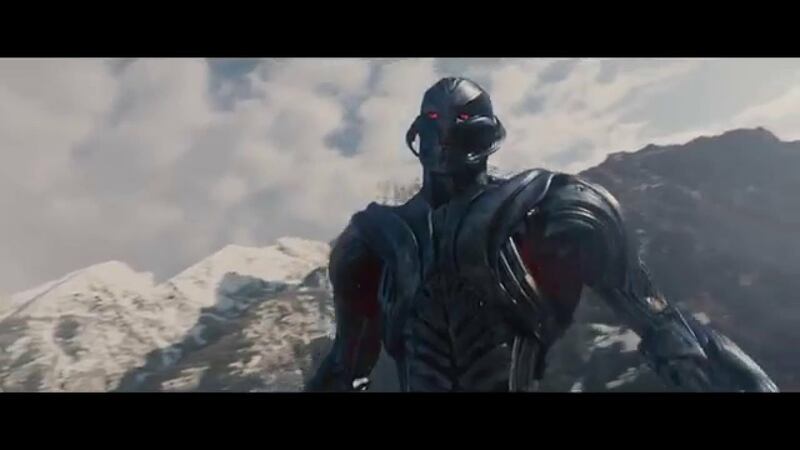 However, there is still speculation that Ultron could have some how survived and could return at a later date. There is rumor that Ultron could appear in some form in the film Avengers 4 also known as Avengers End Game. Part of this theory is that Ultron's creation seemed in part to be a plan of Thanos to destroy Earth using the mindstone.